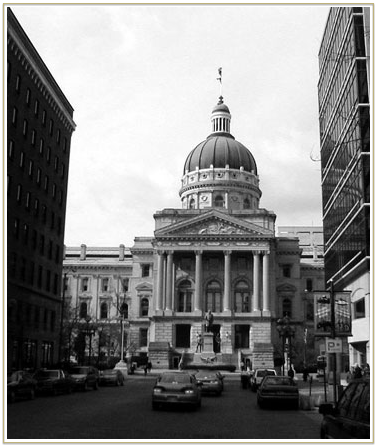 A settlement of $25 million dollars was reached in April 2017 against the Indiana Department of Child services on behalf of an Indiana family. It is the largest payout in state history. Attorneys Richard Waples, Ron Waicukauski, Kevin Tankersley and Heather Kirkwood represented Roman and Lynette Finnegan and their children in a three week trial in the Hammond division of the U.S. District Court, Northern District of Indiana. The plaintiffs are the surviving family members of 14-year old Jessica Salyer who died in 2005 as a result of a prescription medication error. The Department of Child Services accused the parents of contributing to Jessica’s death, caused criminal charges to be filed, and removed the couple’s children from the home. Even after the cause of death – the prescription error – was uncovered, DCS ignored evidence and continued to keep the children in foster care. At the conclusion of the trial, the jury awarded $31.3 million in compensatory damages on First, Fourth and 14th Amendment violations involving the Finnegans and their children.